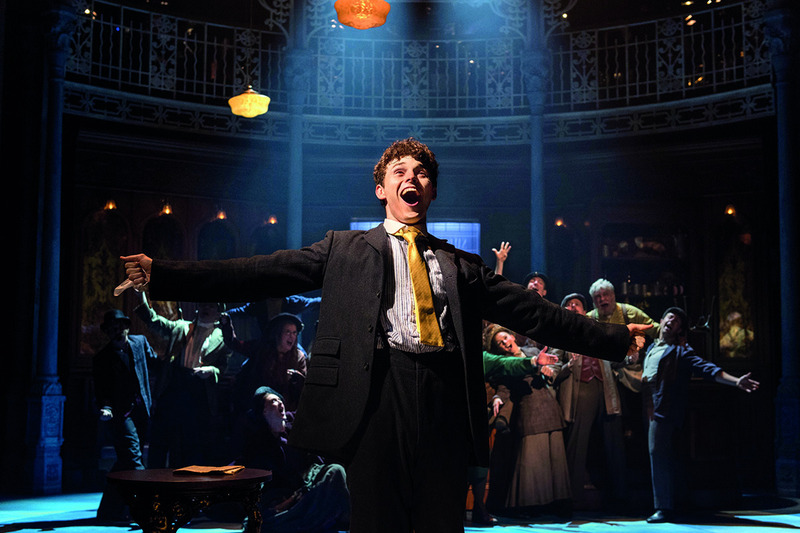 Half a Sixpence, set in the early 1900s, follows Arthur Kipps, an orphan and draper’s assistant, as he learns that he has inherited an unexpected fortune from his estranged grandfather. 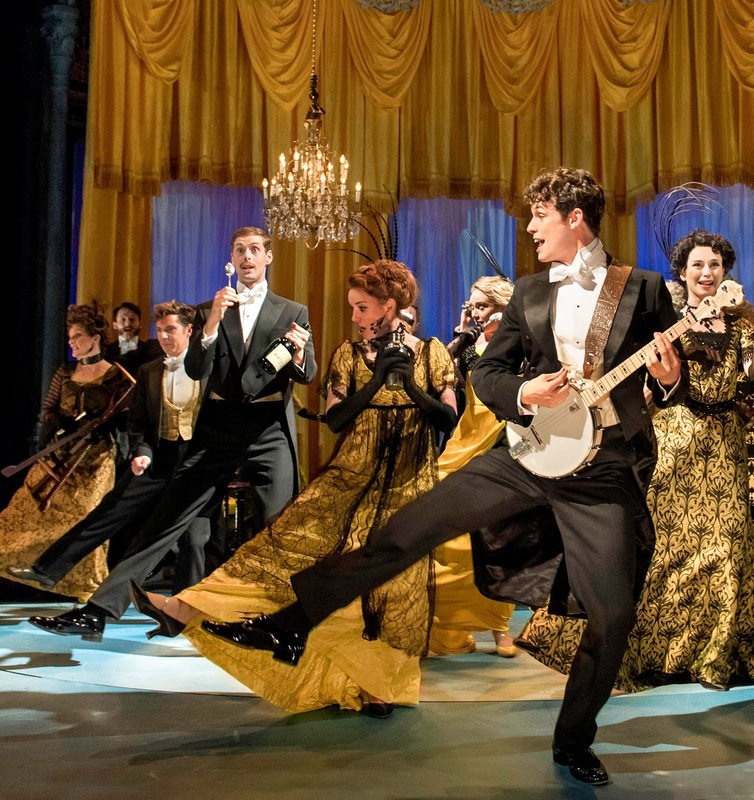 As Arthur is plunged into high society, he is torn between a life of gentry led by his newly-permitted relationship with Helen Walsingham or staying true to his roots with the likes of his childhood sweetheart, Ann. Although Julian Fellowes’ rewrite has resulted in a strong script with some touching moments and hilarious lines, the basic framework of Half a Sixpence remains a quintessentially classic musical of its era, and so to enjoy the show to its full potential, its predictable and contrived plot must be overlooked, or accepted for what it is. The real triumph and magic of this production is its score; Stiles and Drewe have rearranged the existing numbers with a full, rich sound, compiled of layers of intricate yet feisty melodies and motifs. Their new songs add extra depth and colour to the show, while fitting in amongst the original music as if they had been written side by side. Rather than simply creating routines on top of the music, Andrew Wright’s clever choreography interacts playfully with the score, the movement conversing with the intricacies of the music and embellishing characterisation throughout. The set is simple, allowing the music and movement to provide the real spectacle, but the rotating circles in the stage are both practically and figuratively a driving force behind Wright’s choreography, adding to the dynamic of the big ensemble numbers. 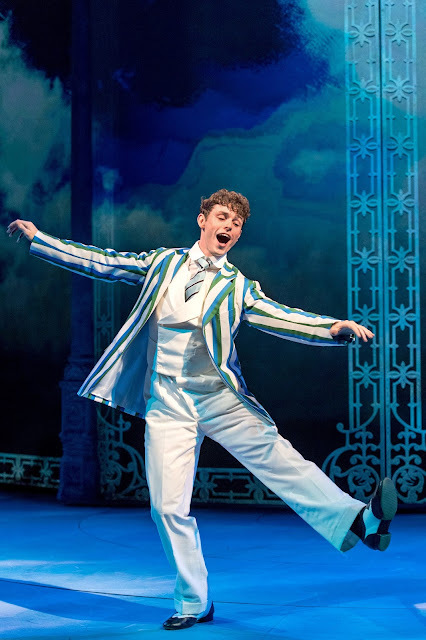 A large majority of the attention that Half a Sixpence has received has been directed at Charlie Stemp’s performance as Arthur Kipps - and rightfully so. Stemp brings a compelling boyish charm to the young protagonist, continually impressing with his fluid, effortless movement and striking vocals. Devon-Elise Johnson conveys a similar innocent playfulness as Arthur’s childhood friend, Ann. Johnson delivers a solid performance throughout, but it is moments such as A Little Touch of Happiness and Long Ago where she really proves her adept characterisation and powerful vocal abilities. With Emma Williams’ unfaltering composure as the dignified and elegant Helen Walsingham, it is easy to see why Arthur would be enamoured, and although the plot demands the audience to root for Arthur’s childhood love, Williams brings out the humble and honourable side to Helen’s character, instilling a significant level of empathy. While the script doesn’t allow for much insight into his background or motives, Ian Bartholomew’s Chitterlow, the comical figure who introduces Arthur to his fortune, is more than just a plot device. Bartholomew adds depth and realness to the character in addition to delivering line after line of farcical humour. 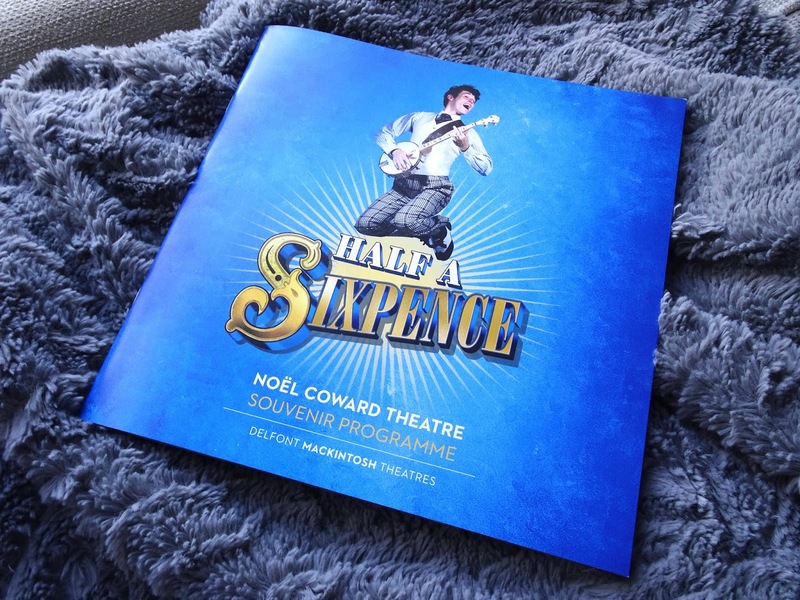 Though it inevitably falls into many clichés of this musical era, this new production of Half a Sixpence provides a few hours good old fashioned fun, with small, unobtrusive modern twists. The fantastic cast earned a full standing ovation on their opening night, and will undoubtedly continue to win over every audience with the whimsical spirit and contagious fun of the show. 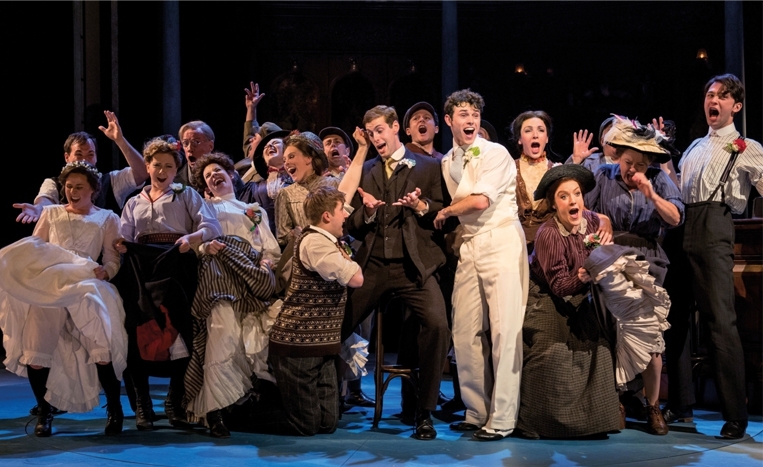 Half a Sixpence is booking at the Noël Coward Theatre until 11th February.